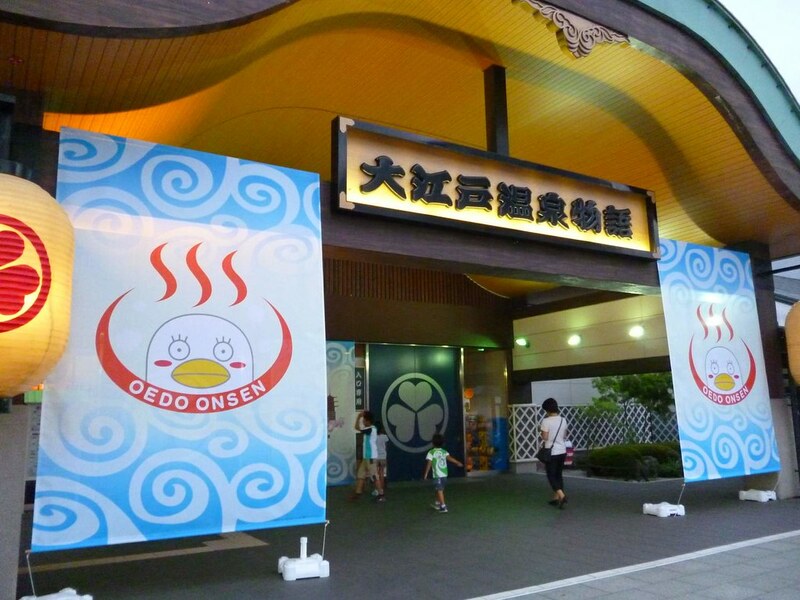 During my trip planning for Tokyo, I was most excited about visiting the Ooedo Onsen Monogatari hot spring theme park. It wasn’t only because I desperately wanted to soak in hot springs and to stay overnight there. 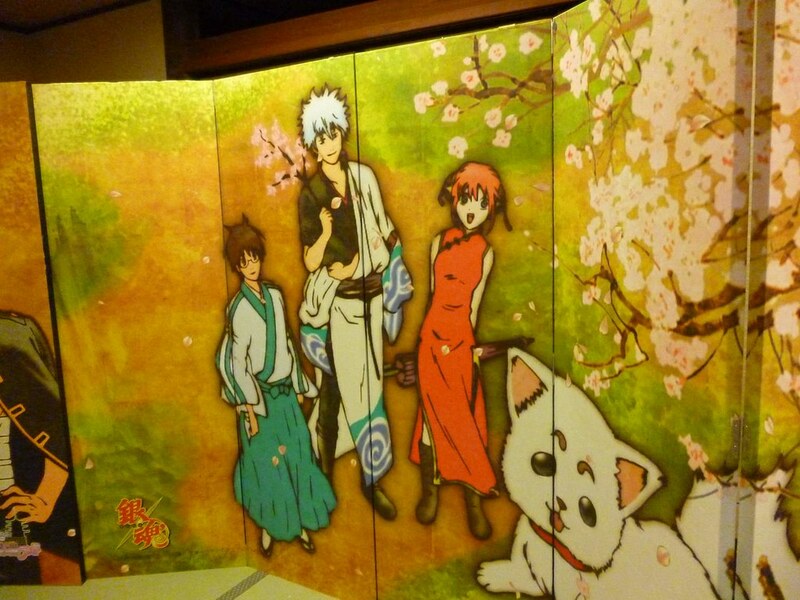 It was also because my favorite manga/anime Gintama was having an event. 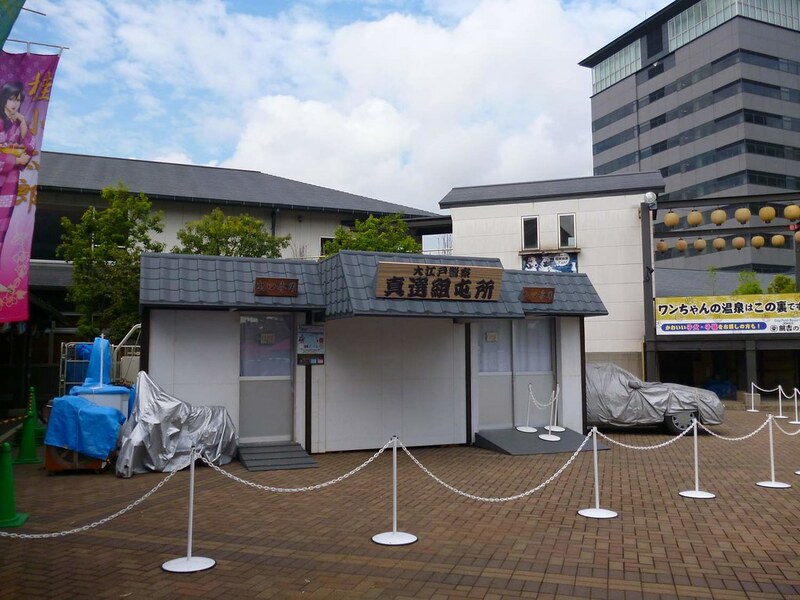 The onsen place and the anime company teamed up to bring us “Ooedo Onsen Suspense Theater” where visitors can participate in games to win prizes and most of all, enjoy our favorite work. 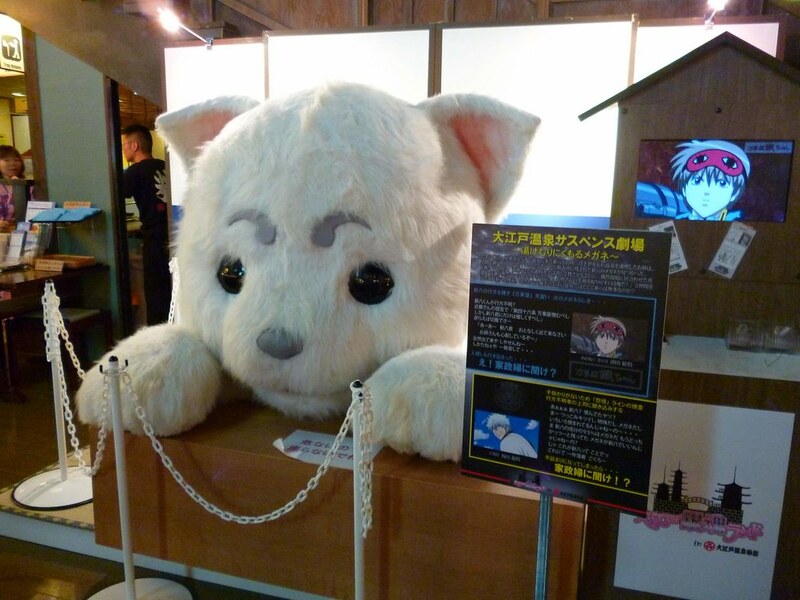 This post will be very image heavy as I want to show you everything they had at Oedo Gintama Land. 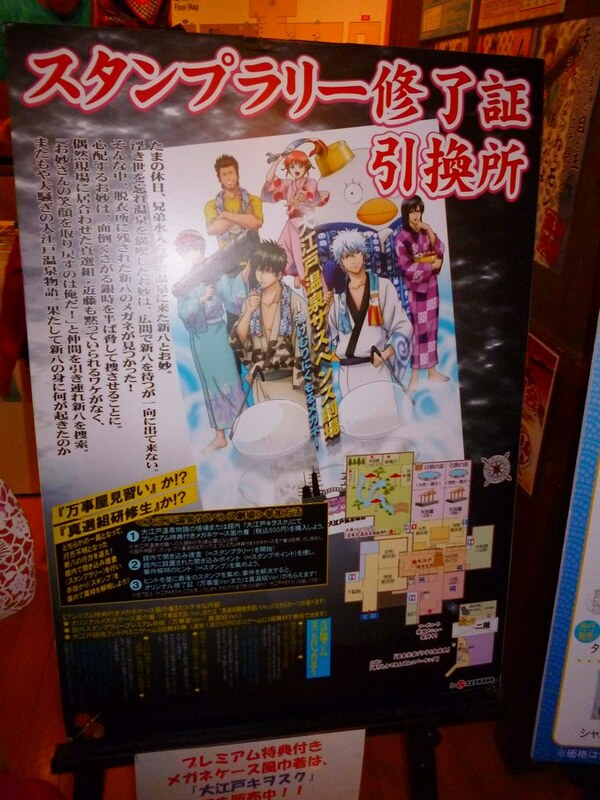 Another warning, you will probably have ZERO idea what I am rambling on and on about if you have not read Gintama. If you have not read the series, please head to your nearest comic bookstore and buy yourself the books. If all fails, there are the *cough* pirated versions online *cough*. 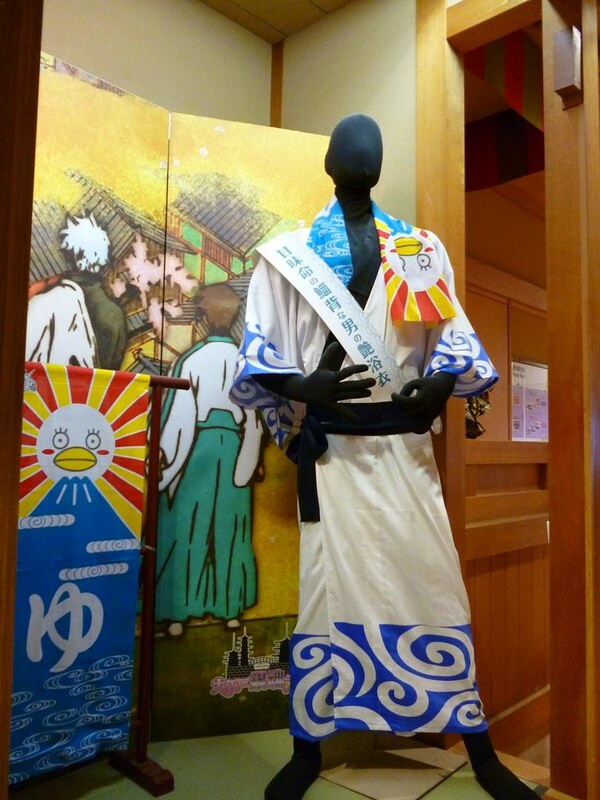 When my shuttle bus reached Ooedo Onsen Monogatari, I almost squealed out loud seeingthe giant blow-up of Elizabeth guarding the entrance in his yukata. It was close to 6pm when I arrived. The mini outdoor event would close at 6pm so I had little time to play around. 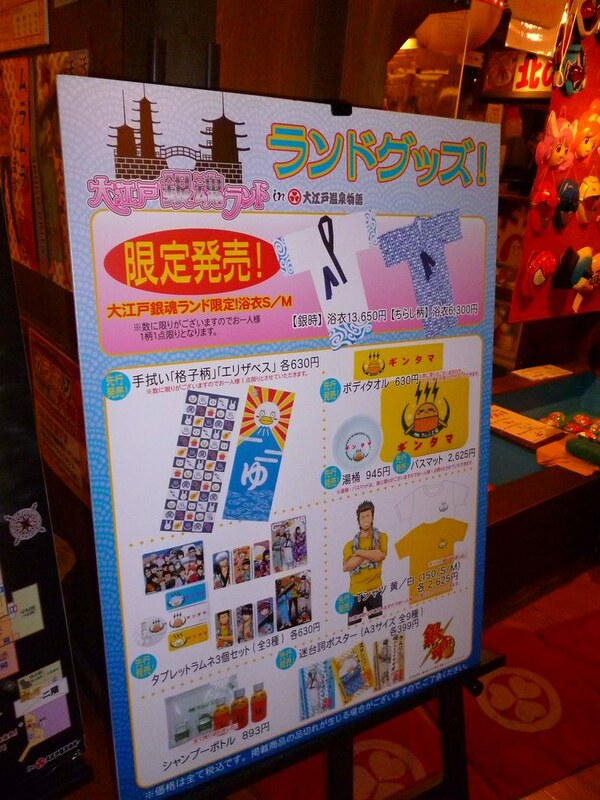 There was two photo taking stations there. 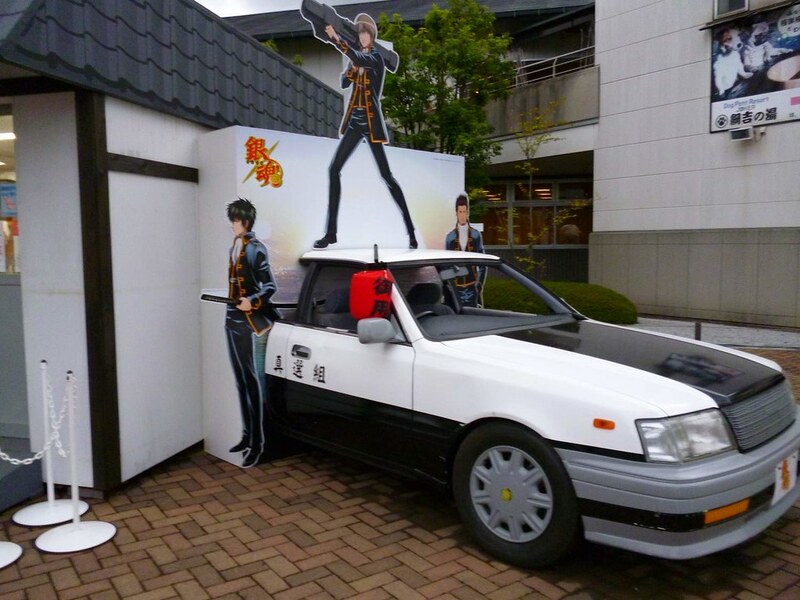 One of posing with the police car of the Shinsengumi police force. 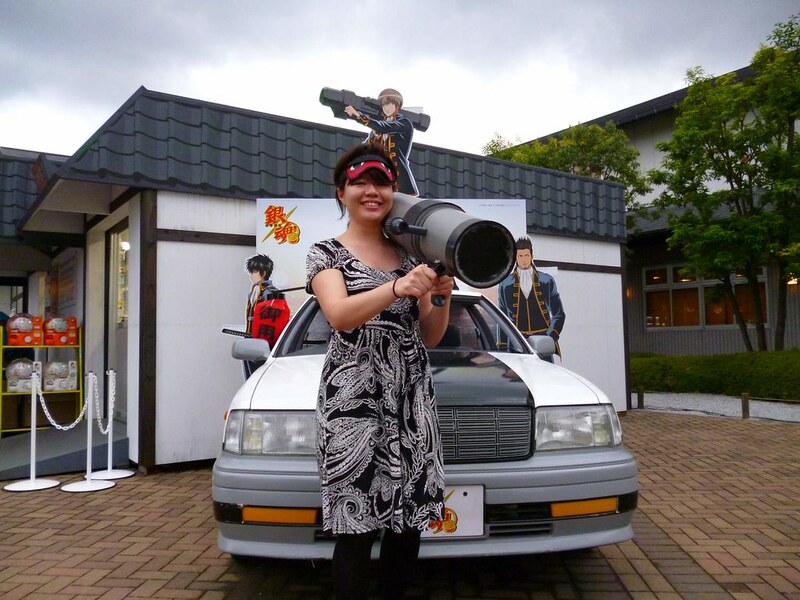 I posed with a fake bazooka and Okita’s favorite eye masks. Unfortunately, we weren’t allowed to get into the car. 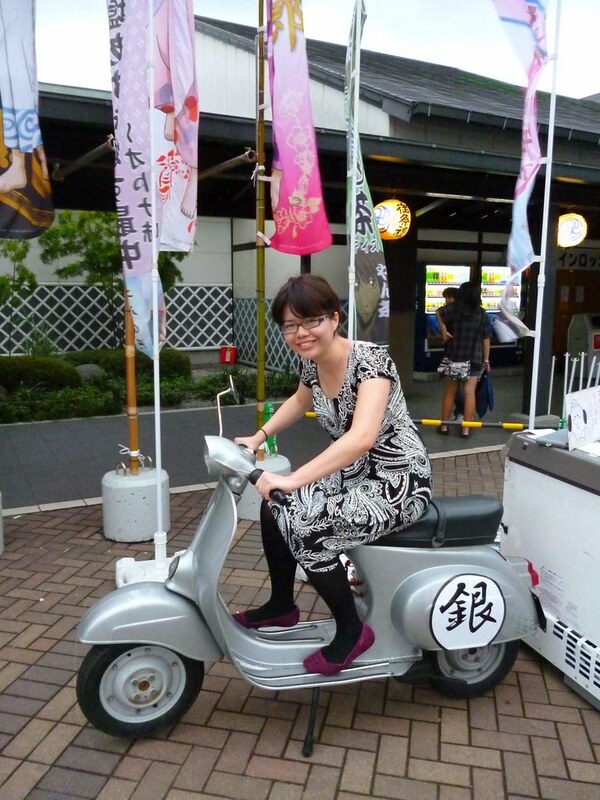 Gin-chan’s broken down scooter was also there for photo opportunities. Too bad they didn’t have his helmet or it would make an even more awesome photo. 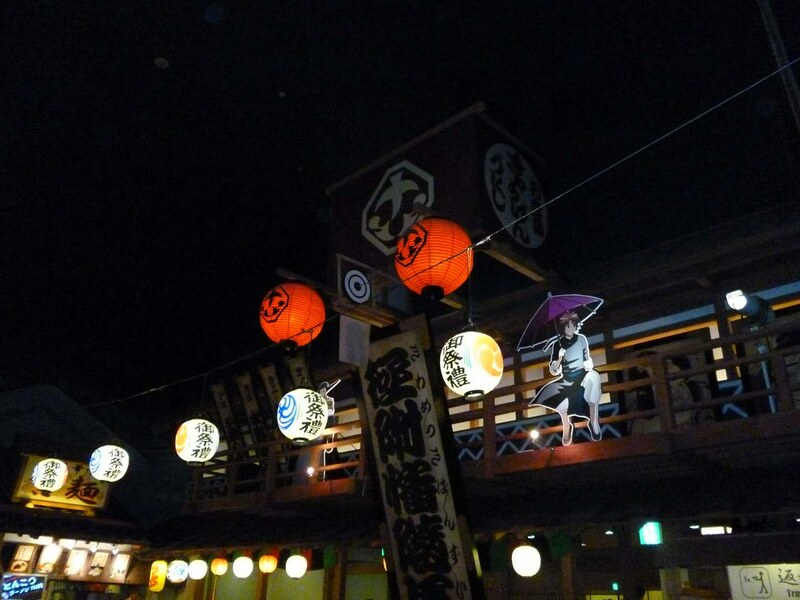 Floating in the wind was Gin-san in his yukata. My inner fan girl was shouting really loud by then. The pink banner says they are selling salted red bean paste–the taste for adults–at 280 yen. I think it’s ice cream. 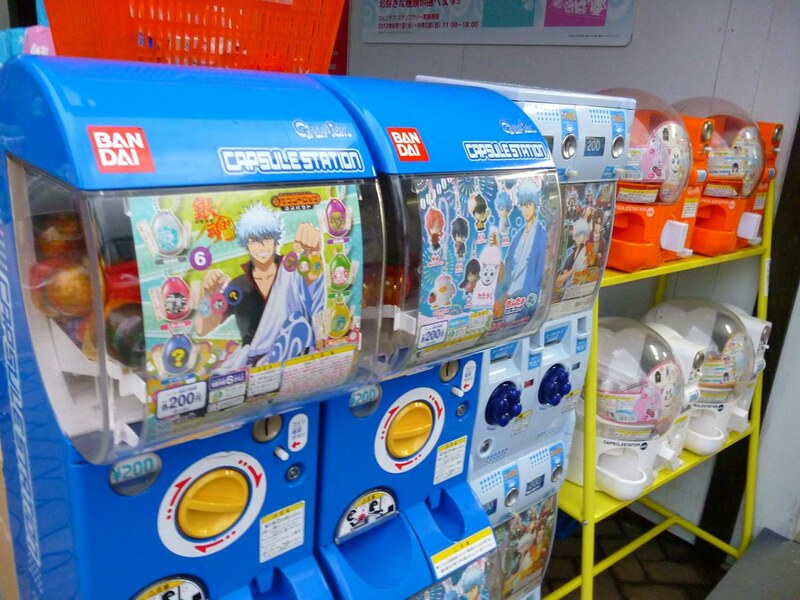 There was even a shop selling Gintama merchandise. Being the cash-strapped traveller, I couldn’t afford to buy the stuff which were pretty much useless even for decoration. 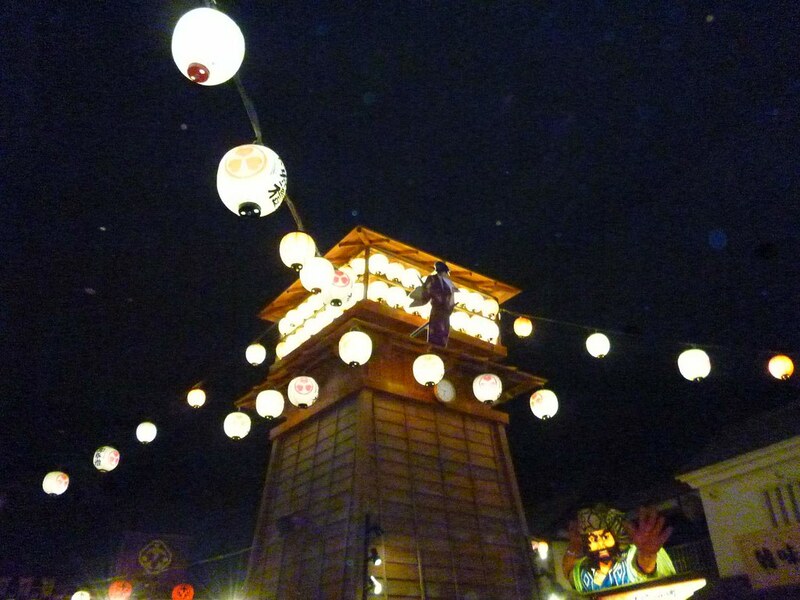 After having fun with photos, it was time to head into the theme park. 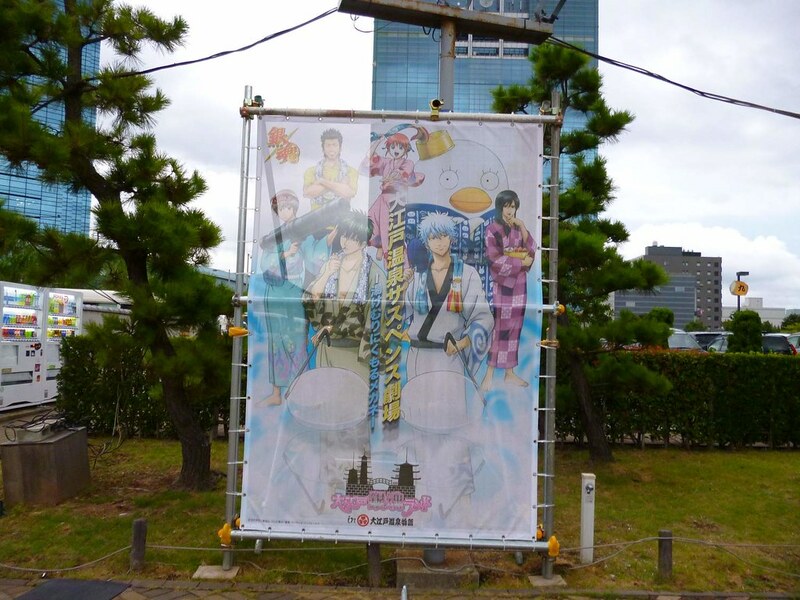 Another banner with Gintama characters greeted us inside. My favorite female character Sacchan was disappointingly not among them. 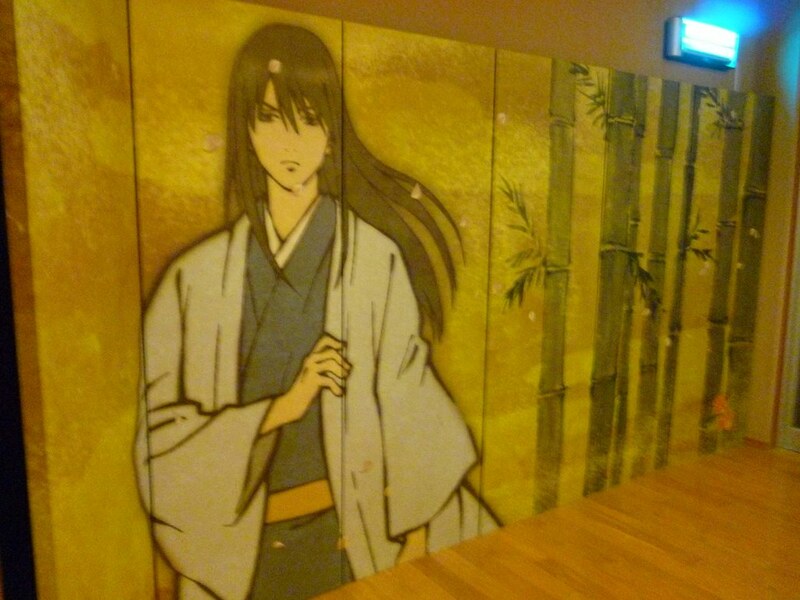 At the waiting area, they put up Gintama goodies. 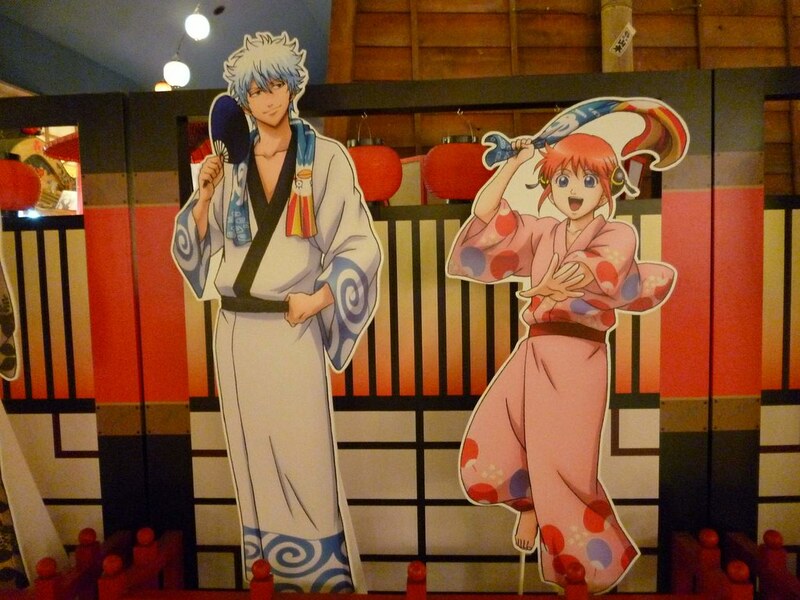 I was really tempted by the Gintoki yukata but the price was too scary for me. 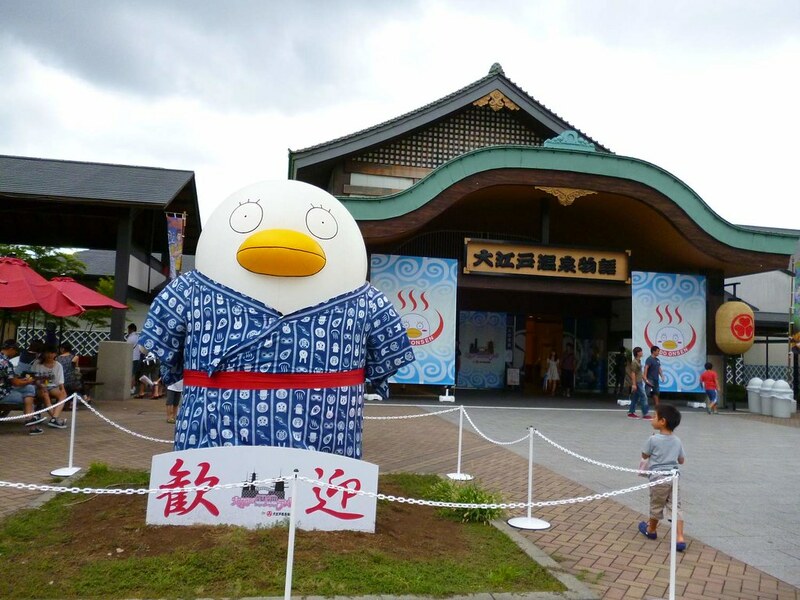 I think the partnership between Ooedo Onsen Monogatari and Gintama team is perfect because the theme park pretends to be a town in ancient Tokyo (Edo) and the comic is set in a fictional ancient Tokyo. 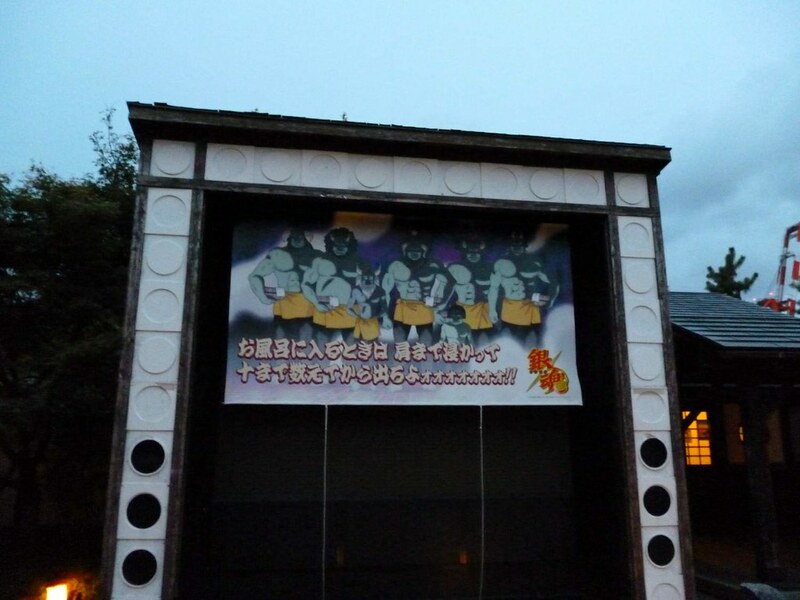 The highlight of Gintama Land was “Ooedo Onsen Suspense Theater”, a game to find one of the characters. 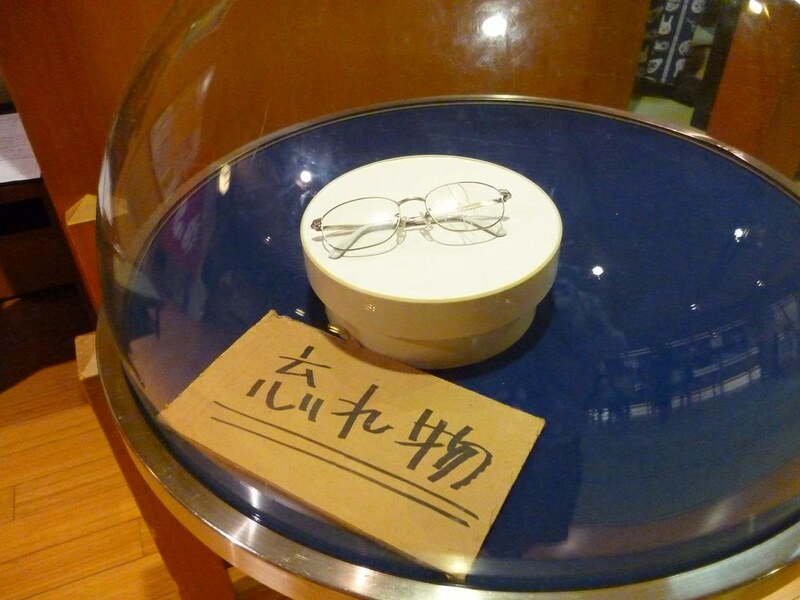 Shinpachi’s glasses was discovered by his elder sister, O-tae. 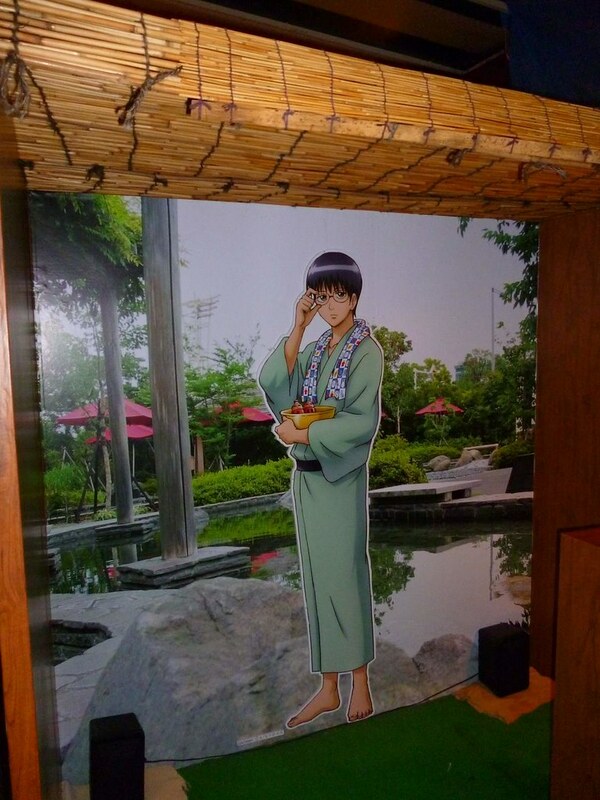 O-tae was worried about Shinpachi and asked both the Yorozuya and Shinsengumi team to find her brother. 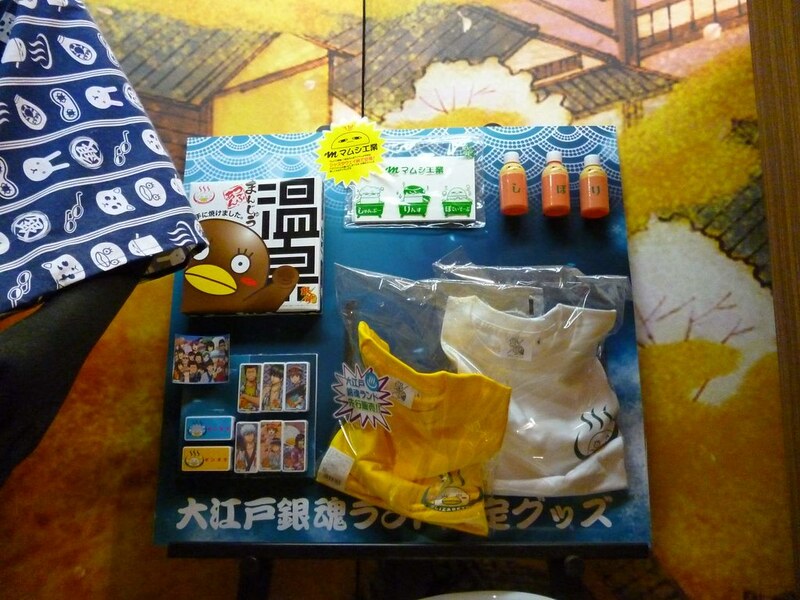 As a player, you buy a glasses pouch for 500 yen to play the game. 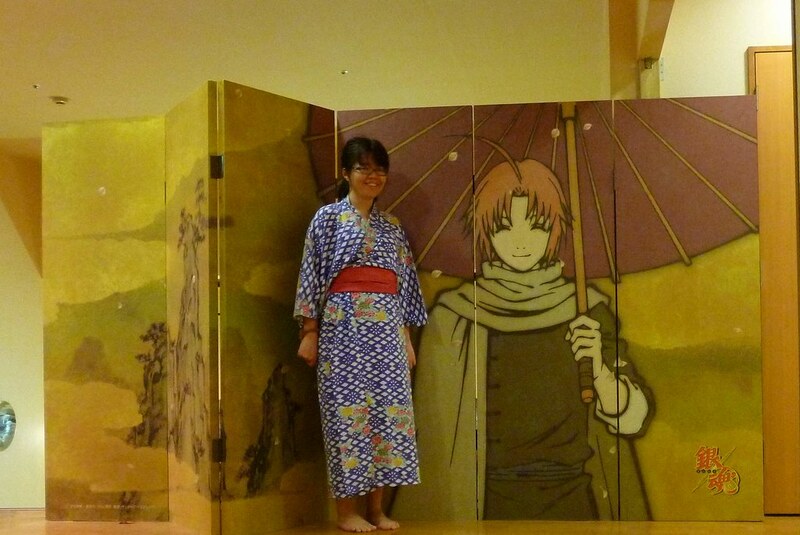 I chose to be the Yorozuya intern while others can choose to be the Shinsengumi intern. While walking around, I found really cool cutouts and models of the characters. 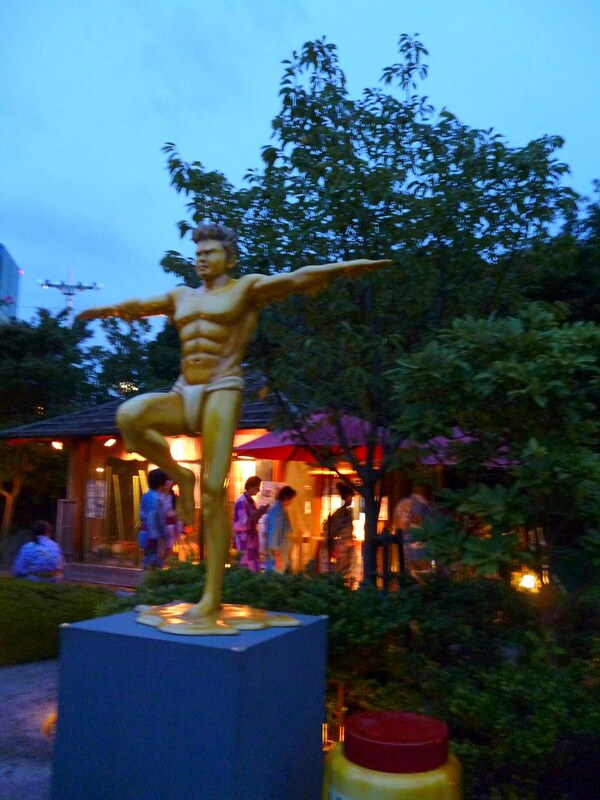 For example, at the footbaths, Kondo Isao posed in only his underwear and covered with honey. It was from the chapter where they had to lure something in the forests. The very adorable but also very sadist Sogo with a bath towel. Oi! What shoulders, this is a footbath! Large panels like these appear at game stations. 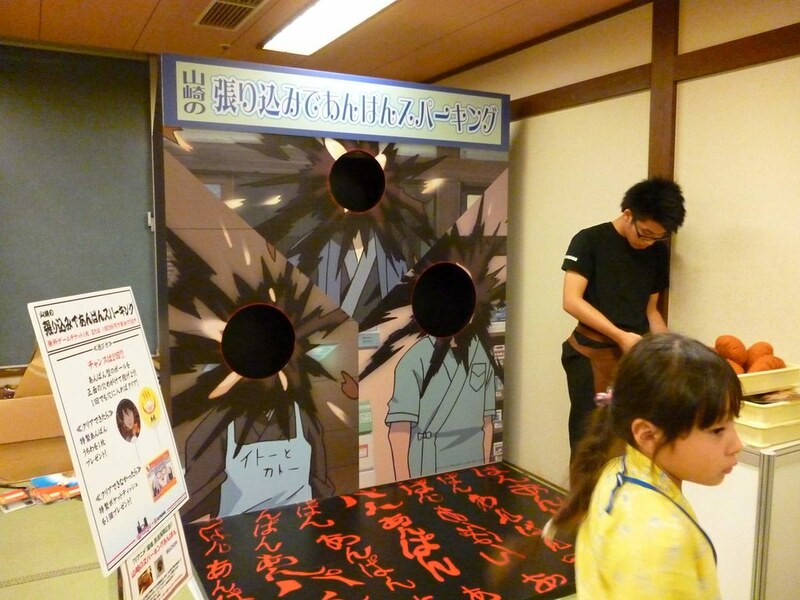 Besides the search for Shinpachi, there were three mini games along the way. I forgot to take pictures of the fishing for water balloon games but I have the other two. 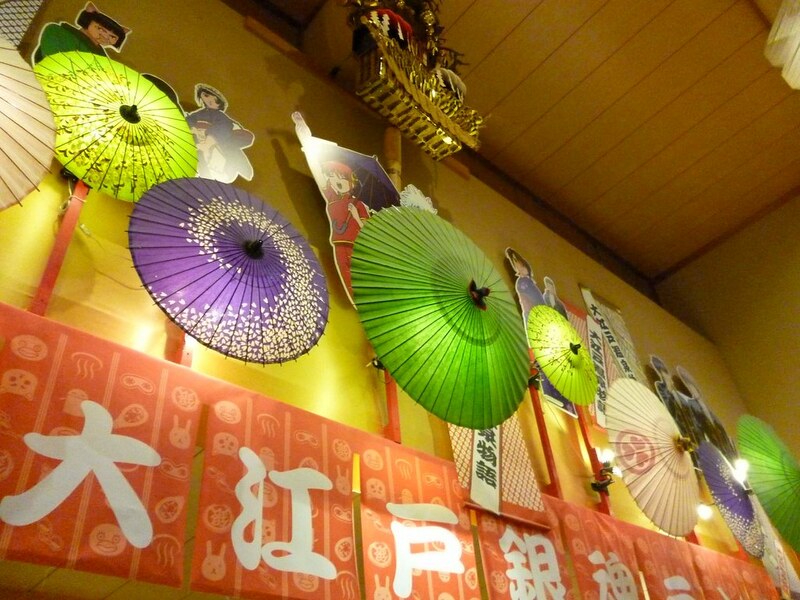 One of it was the paper fan throwing game. The player kneels in front of the two Styrofoam figures and try to knock it down with a fan, I failed at it and my fan flew way off the target. 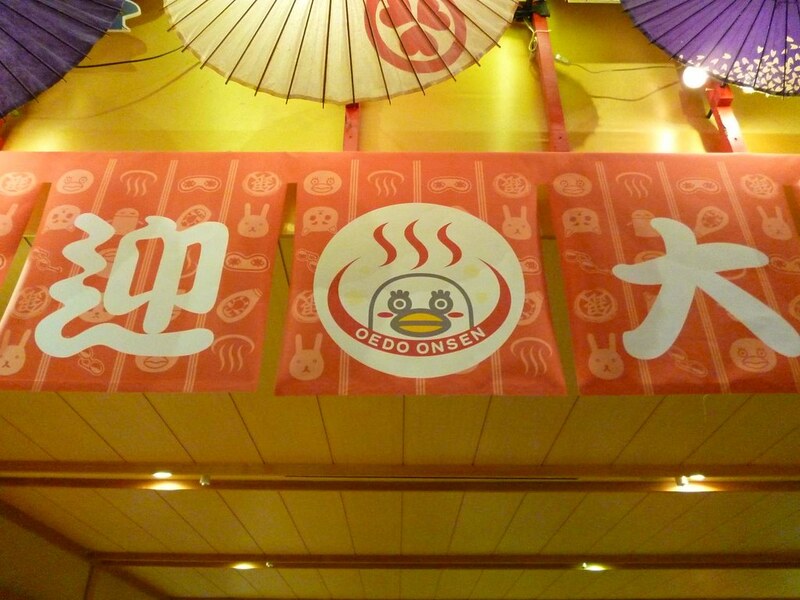 I was much better at the anpan (red bean bun) throwing game. Each beanie bag of fake red bean bun flew into the holes representing faces. 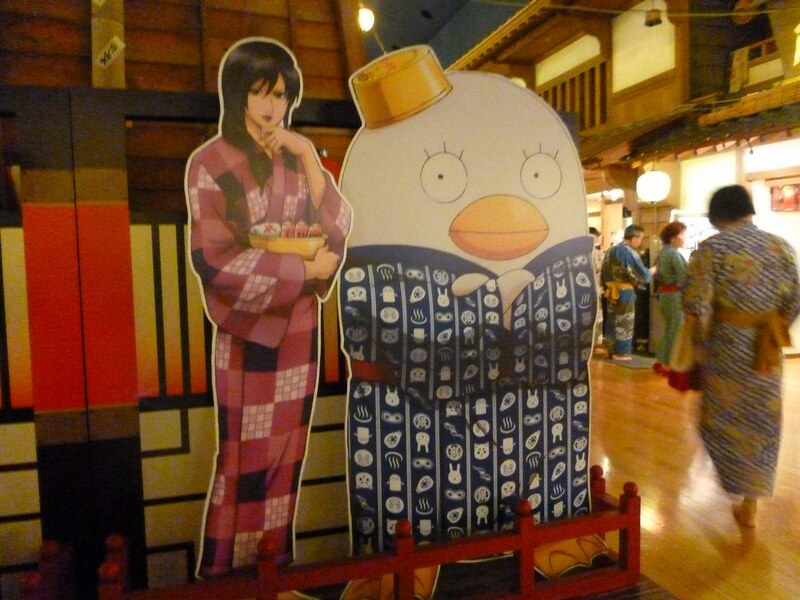 Besides games, there were plenty of photo opportunities for Gintama fans. 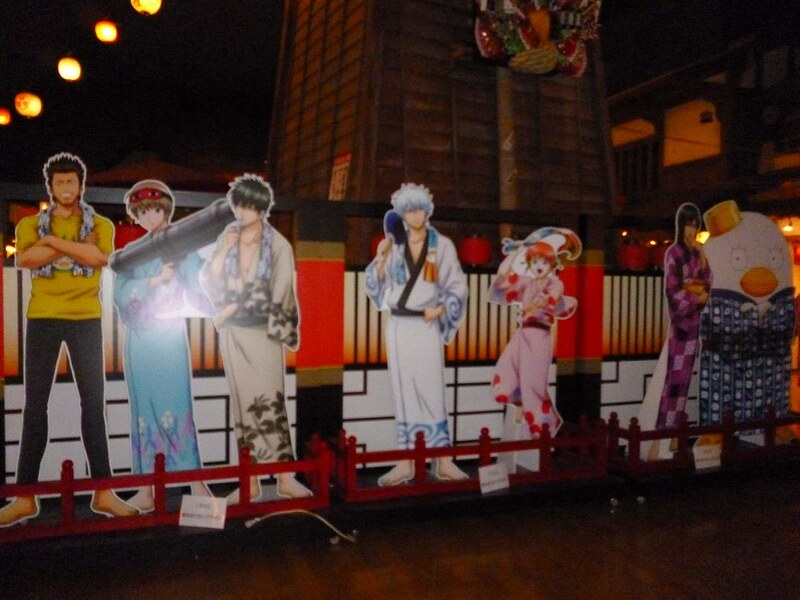 At the center of the food area were lifesize cut outs of the Gintama gang. 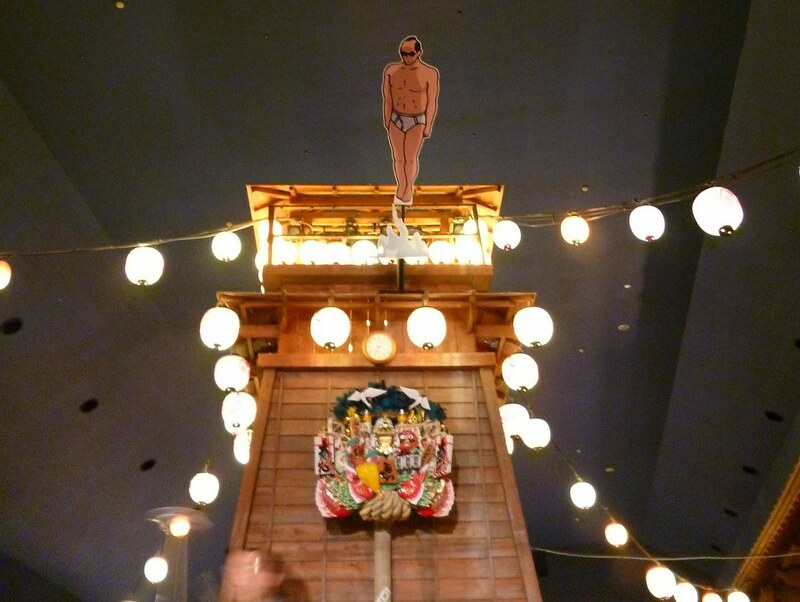 I would have missed out Shogun in his underwear if I didn’t look up. The other casts were higher up on the “second floor”. 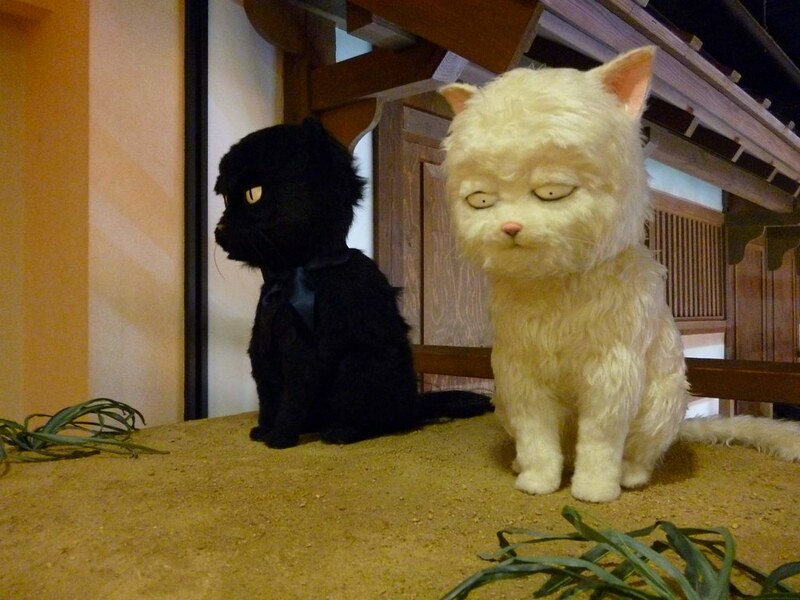 There were also models, for example Gintoki in cat form. 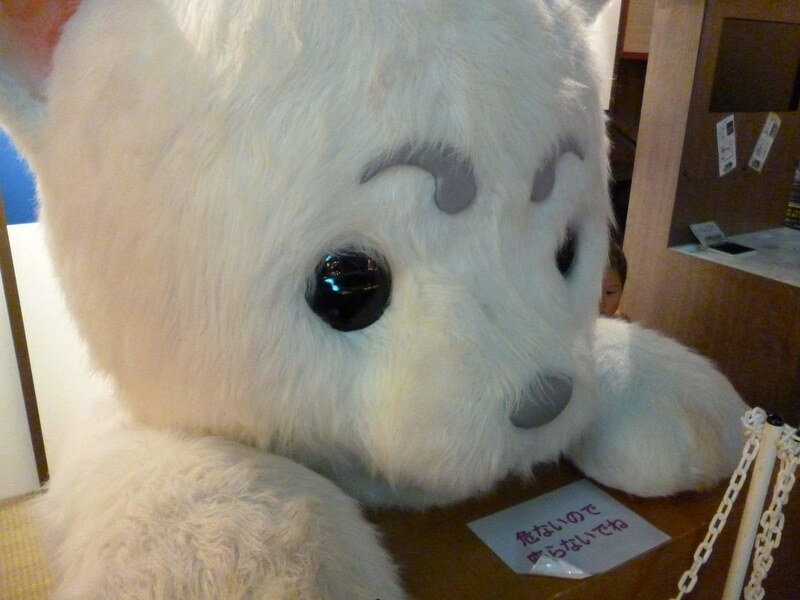 And the super huge but super cute Sadakaru. 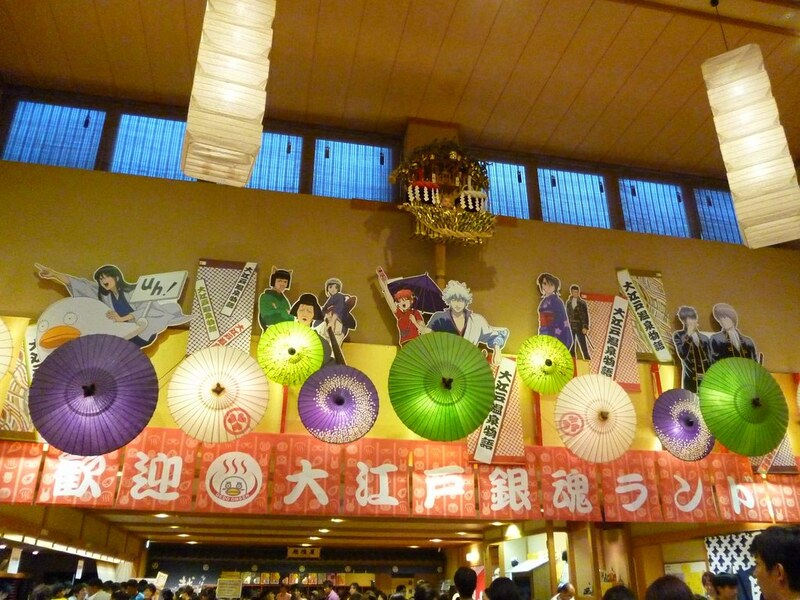 Besides all the photo taking and games, there were also Gintama-themed food. One example is Hijikata’s favorite mayonnaise with everything. The character loves to put mayonnaise on everything. 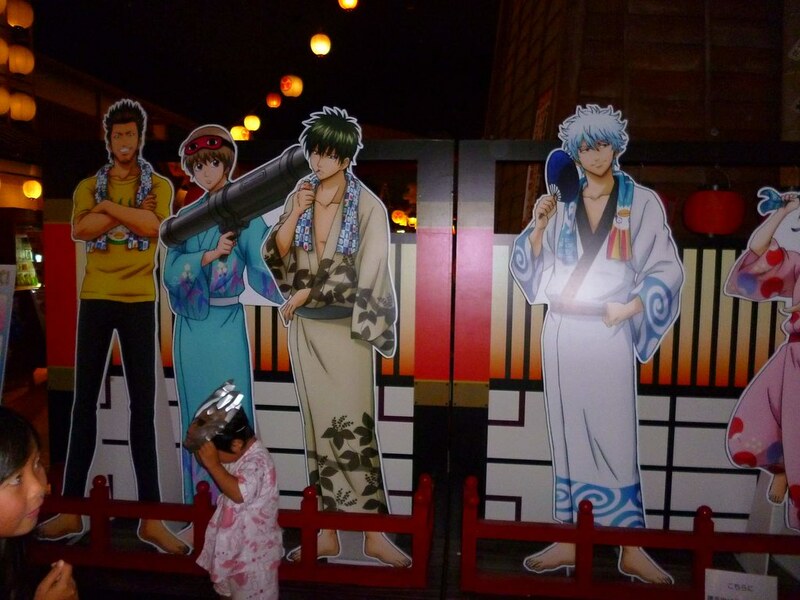 I had a great time at Gintama Land. I wish time would freeze for me to stay there forever. But… Reality called, so here I am, back in Singapore. Instead of moping, I should be grateful that I could be there. So I will be grateful and be wonderfully happy about the trip. 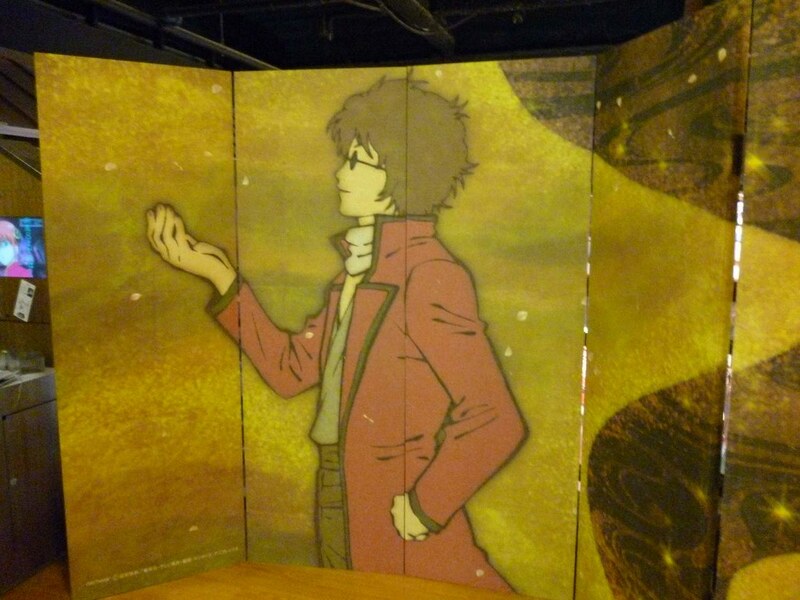 Can you tell me Do you know the exact event Gintama Land end date? I’m sorry, my English isn’t very good. Hello! 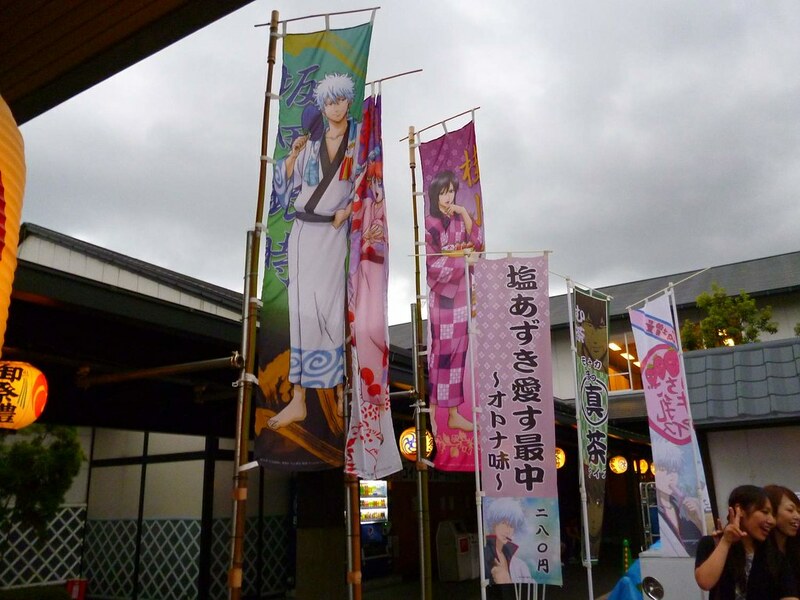 Gintama Land was a special event at Ooedo Onsen Monogatari. 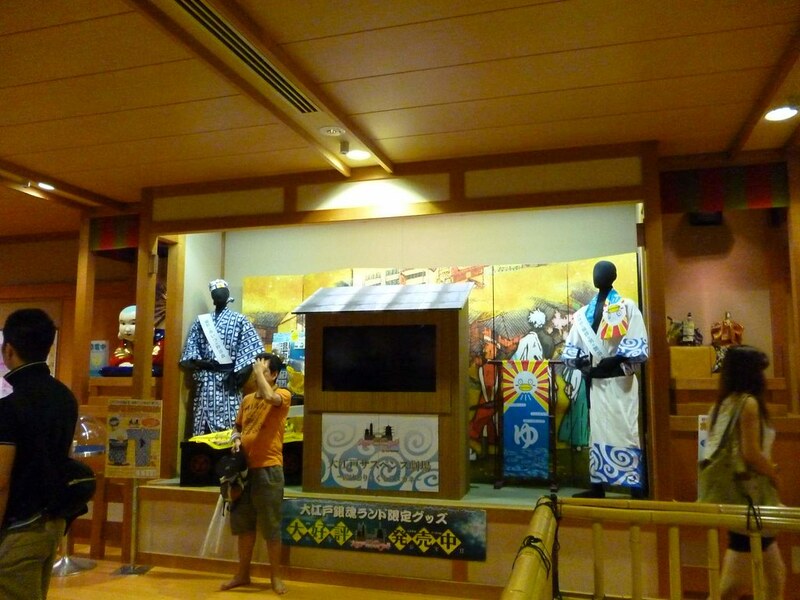 It was held from July to early September 2012. Now it’s over but I hope they have another next year and I can go too. WOw!!!! Is worderful!!!! I’m so jealous right now! I’m Spanish and a Big Gintama fan!!!! Thanks for this post!!!!! Hello Sareta! Glad you like the post. 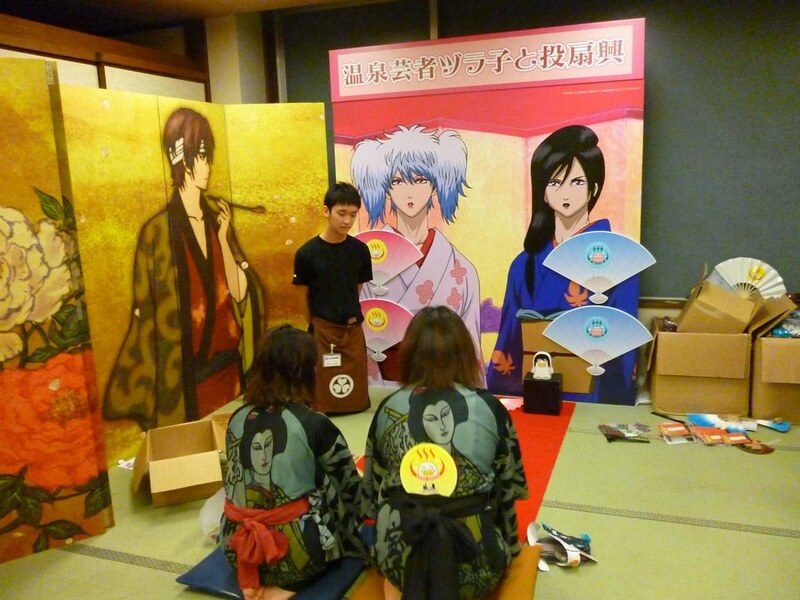 And very glad to find that Gintama has fans around the world. wooo im so jealouse of you trip. 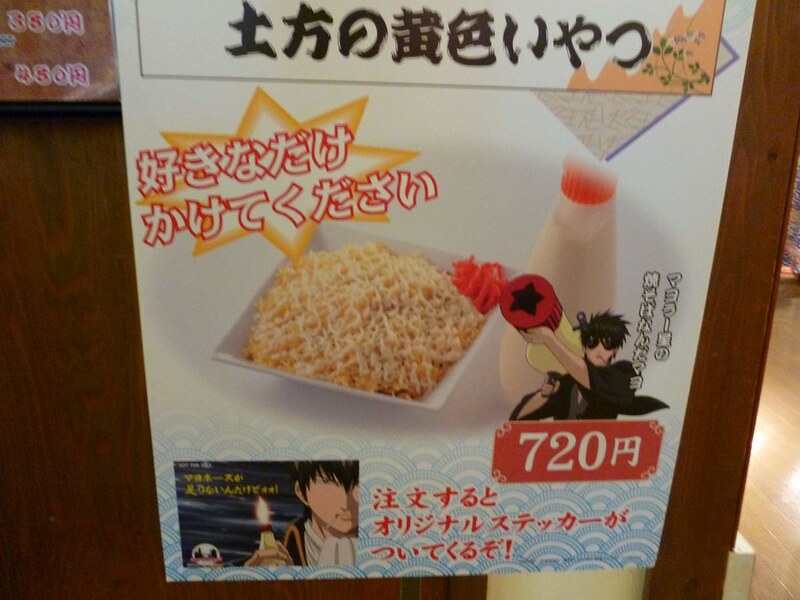 Also ehh, the Hijikata Special looks rather unappetizing. Hello! 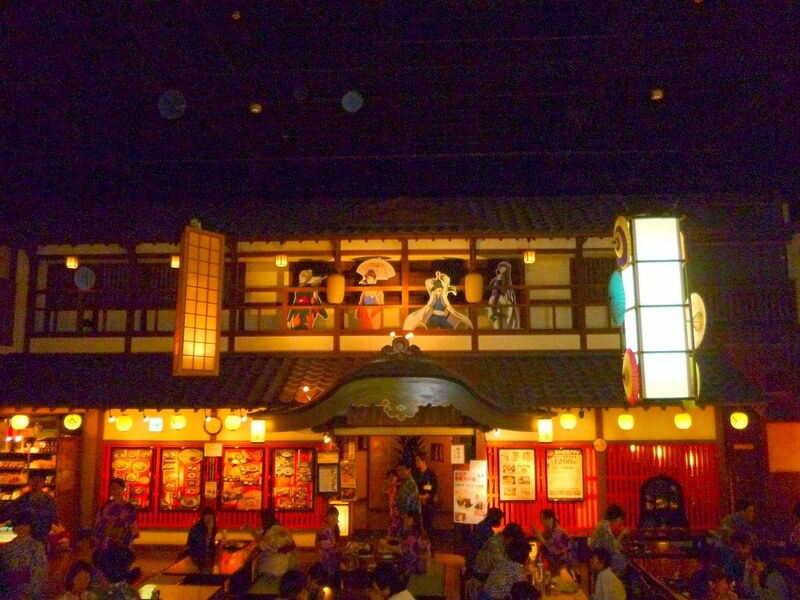 I just found your blog through this onsen post! I recently went there and found that many of the cool things you showed was no longer there (sad face) but nevertheless I had fun. 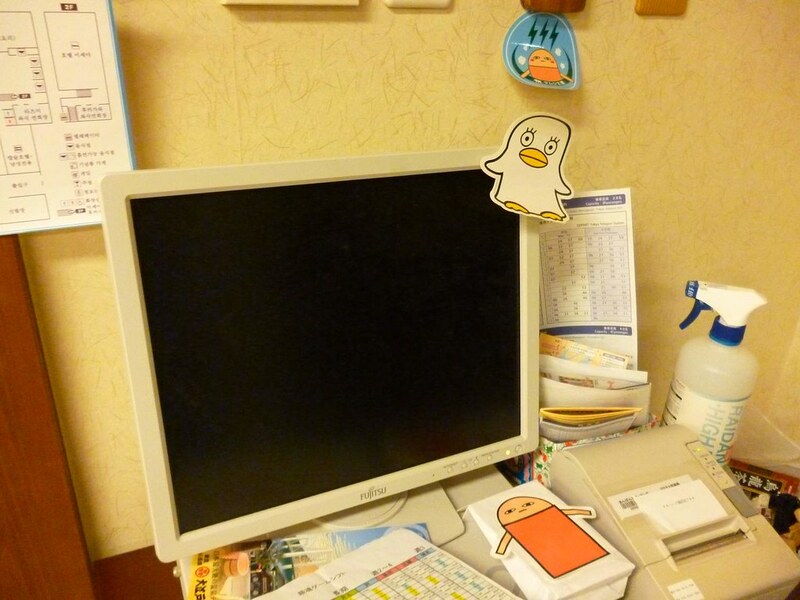 I am posting more Japan things and Korean things so please have a look! I would very much appreciate it.